Diplomas Now is a public-private partnership that helps some of America’s toughest middle and high schools ensure that their students graduate ready for college or career. Diplomas Now combines three major nonprofits, local school districts and funders, and is the first fully integrated approach that improves a school’s curriculum and instruction as it provides the right support to the right students at the right time. Diplomas Now is the only secondary school reform program to have won a prestigious Investing in Innovations (i3) federal grant in 2010. This $30 million grant, plus a matching grant from The PepsiCo Foundation, allowed Diplomas Now to expand and undergo a rigorous evaluation of its effectiveness. 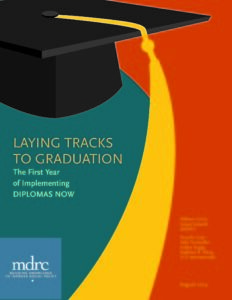 Diplomas Now is based on research showing that half of all eventual dropouts can be identified by the end of sixth grade, and close to 75 percent by the start of high school. Studies found that middle-school students who fail their courses, have poor attendance and poor behavior seldom graduate. Diplomas Now identifies those students early and works to eliminate their problems. 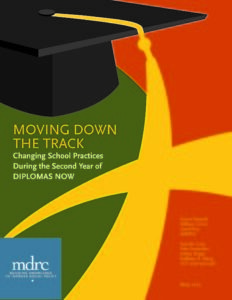 Diplomas Now is a proven approach that helps the toughest middle and high schools in America’s largest cities ensure that students graduate ready for college or career. It is the first fully integrated approach that improves a school’s curriculum and instruction while it provides the right students with the right support at the right time. City Year’s in-school, “near peer” AmeriCorps members who support students. Communities In Schools’ in-school trained case managers for the neediest students. Talent Development Secondary, a school reform model that improves instruction and performance. Diplomas Now partners with the school community so every student has the support of caring adults and those adults have the tools to improve student success. Working with administrators and teachers, a Diplomas Now team organizes and supports schools to strengthen achievement and engagement. Diplomas Now provides curriculum, teacher coaching and student support. An early warning system identifies struggling students, and the team works to get each student back on track. such as counseling, health care, housing, food and clothing. Diplomas Now is in schools in Boston, Chicago, Columbus, Ohio, Denver, Detroit, East Baton Rouge, Los Angeles, Miami, New York City, Philadelphia, San Antonio, Seattle, Tulsa and Washington, D.C. 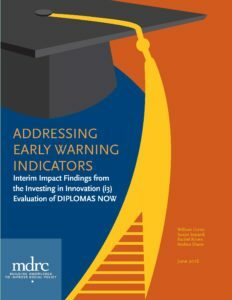 In 2010, Diplomas Now won a $30 million federal Investing in Innovation (i3) grant from the U.S. Department of Education to implement the model in 11 school districts and validate its effectiveness. The PepsiCo Foundation provided $11 million in private matching funds to support the implementation of Diplomas Now in the study schools. MDRC, an independent research organization, is conducting the study, which, when completed in 2019, will be one of the largest and longest randomized studies of secondary school reform ever conducted. 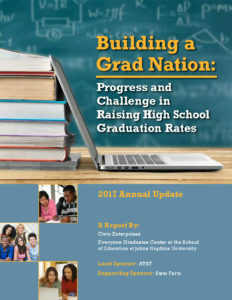 Read key highlights on reducing early-warning indicators, chronic absenteeism, and overall findings. 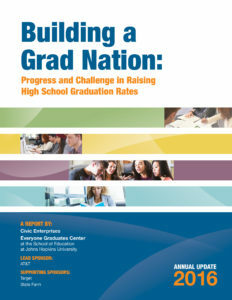 Read the Diplomas Now brief on the analysis and implications of this report. Read the FAQs. Diplomas Now knows that half of the 500,000 kids who drop out of school every year come from just 12 percent of the nation’s high schools or 1,700 “dropout factories.” A comprehensive study from Johns Hopkins University found that students who are most at risk of dropping out of school can be identified as early as middle school through key indicators – poor attendance, unsatisfactory behavior and course failure in math and English. When any one of these off-track indicators is seen in a child as early as the sixth grade, that child has only a 10 percent to 20 percent likelihood of graduating from high school.